Trek Backstory, part 22: Was Season 6 the Best Ever? Trek Backstory, part 20: Was Season 4 the Best Ever? 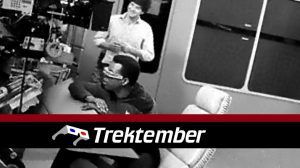 Trek Backstory, part 21: Was Season 5 the Best Ever?